What diabetic condition is often associated with iron? “Bronze diabetes” (also called the “Celtic Curse”) is when the body is unable to eliminate excess iron properly, and some of the overabundance of iron collects in the pancreas. As the name implies, a person who has bronze diabetes takes on a bronze skin hue because of the accumulation of iron. This form of diabetes is actually caused by an underlying condition called hemochromatosis, an autoimmune disease that causes the body to store excess iron not only in the liver and pancreas but also in the heart, sexual organs, skin, and joint tissues. If or when the overabundance of iron eventually collects in the pancreas, it can “overload” the organ, creating this type of diabetes. Hemochromatosis is often classified with other “iron-overload” diseases, or those caused by an excessive amount of iron in the body. Normally, a person’s body extracts the correct amount of iron from foods in the intestines. If a person has hemochromatosis, this mechanism fails. As more and more iron is absorbed, the body cannot excrete the excess. 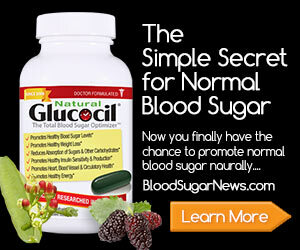 It eventually accumulates the excess iron in specific tissues in the body, especially the pancreas, liver, and heart. How is hereditary hemochromatosis connected to genetics? Hereditary hemochromatosis (HH) is a genetic form of hemochromatosis caused by a single gene defect. According to the National Human Genome Research Institute, the main gene, called HFE, was first identified on chromosome 6 in 1996. Most cases of HH result from a common mutation in this gene, known as C282Y. But other mutations have been identified that cause this disease, including one known as H63D. Hemochromatosis is most often inherited from both parents. If only one parent has the gene, then he or she becomes a carrier for the disease but usually does not develop it (although he or she may have a slightly elevated amount of iron in the system). Who is likely to develop bronze diabetes in the United States? According to the American Diabetes Association, it is thought that one in every 200 (some studies say 300) people in the United States may have both copies of the gene for hemochromatosis. 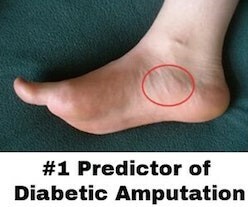 Of this number, it is estimated that about half of them will eventually develop complications, including bronze diabetes. According to the Centers for Disease Control and Prevention, as many as 75 percent of patients with hemochromatosis eventually develop bronze diabetes. In the United States, it is estimated that 1 million people have hemochromatosis. 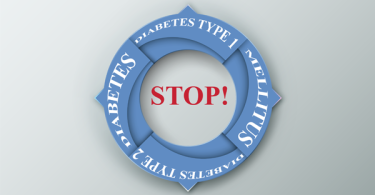 Some more recent studies also indicate that bronze diabetes may be age- and/or even gender-driven. This is because bronze diabetes is rare in children, young adults, and premenopausal women under 50, while men between the ages of 40 and 60 are more likely to be diagnosed. There may be an understandable reason that women under 50 do not develop the disease as readily as men. Women regularly lose a significant amount of blood each month through menstruation until menopause, as well as during childbirth. Because of this, they lose a significant amount of iron. For most women with the defective gene that causes hemochromatosis, the blood loss before age 50 is often enough to keep the disease—and thus possibly bronze diabetes—at bay until well after menopause. Was there a single ancestor who began the genetic mutation for hereditary hemochromatosis? Yes, according to many studies, the origin of hereditary hemochromatosis was most likely from a single individual in Europe around 60 to 70 generations ago. The mutation in the HFE gene in this person was passed on to subsequent generations. And because this mutant gene does not cause problems early in life—especially through the child-bearing years in women—there was no reason for the mutation to be “stopped” by natural selection as with other mutations. Thus, hemochromatosis often affects Caucasians of Northern European decent and, to a lesser extent, other ethnic groups that develop other “iron-overload” diseases. Did writer Ernest Hemingway suffer from hemochromatosis? Many researchers believe that American writer Ernest Hemingway (1899–1961) suffered from undiagnosed hemochromatosis, or bronze diabetes. It is thought that the disease often has a family history; for Hemingway, that appeared to be the case, as many members of his family reportedly committed suicide. (The iron accumulation plays a role in affecting mood and brain function.) Because depression and suicide are closely associated with hemochromatosis, as is the diabetes that afflicted Hemingway (along with his liver problems, heavy drinking, and high blood pressure), the disease could have been the cause of his suicide at age 61 (just weeks short of his 62nd birthday). How do health care professionals diagnose hemochromatosis? Diagnosing hemochromatosis purely from symptoms is difficult, as it often mimics other conditions. In addition, a person may not show any signs or symptoms until the illness has progressed to the later stages. In the early stages, the symptoms seem nonspecific, including joint pain, lack of energy, weight loss, and abdominal pain. As more iron accumulates, people may develop arthritis, problems with sexual activity, and thyroid problems, often hypothyroidism (an underactive thyroid). In the later stages, the iron accumulates first in the liver, possibly causing liver diseases such as cirrhosis. From there, it can affect the heart and pancreas, eventually often leading to heart disease and/or diabetes. If hemochromatosis is suspected, there are several ways to diagnose the disease. One way is through a blood test to learn whether there is too much iron in the body. This is done using a transferrin saturation test or a serum ferritin test. Another way is to test for the defective gene HFE (see above for more information about this gene). What could happen to a person with hemochromatosis if it is not treated? According to the American Diabetes Association, if a person with hemochromatosis is not treated for the condition, it can affect the pancreas (leading to diabetes), liver (leading to cirrhosis), and heart (leading to heart disease). As with many conditions, because the symptoms for hemochromatosis resemble so many other diseases, it is thought to be severely underdiagnosed. The good news is that, once diagnosed, hemochromatosis is relatively simple to treat (as long as it hasn’t progressed too far). The treatments include phlebotomy, in which blood is removed from the body through a vein over multiple sessions. (On average, it is usually once or twice a week for several months, up to a year or more.) According to the National Institutes of Health, a newer treatment that includes fewer treatments than a phlebotomy is called erythrocytapheresis, in which red blood cells are separated from the whole blood, and the iron is removed. In addition, the person’s diet can help slow down iron overload. This means avoiding iron-containing supplements and limiting intake of such iron-rich foods as red meat and especially organ meats, such as liver. Some health care professionals also suggest avoiding supplements that contain vitamin C, as that vitamin is known to increase iron absorption in the body. What is the history behind the term “brittle diabetes”? Brittle diabetes has often been used to describe a type of diabetes characterized by large and sudden swings in blood glucose levels. 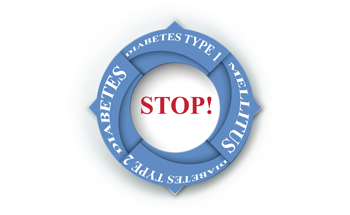 The true meaning of brittle diabetes is often debated. Some health care professionals believe it is a myth, while others believe it is a distinct condition. The concept was first mentioned in the literature in the 1940s to describe type 1 diabetics that did not respond well to insulin treatment. The biggest challenge of defining brittle diabetes was obvious. There were few ways that diabetics could easily measure their blood sugar levels, as there were no blood glucose meters or continuous blood glucose monitors. Thus, brittle diabetes became known as sudden episodes of low glucose levels (severe hypoglycemia) and recurrent, extremely high blood glucose levels (or recurrent diabetic ketoacidosis, or DKA; for more about DKA, see the chapter “Type 1 Diabetes”). 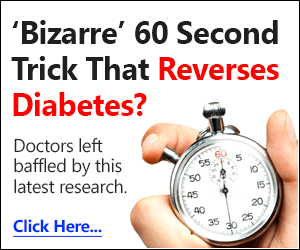 Many experts believe this term was once used when a doctor did not know how to treat such extreme highs and lows of blood glucose. Today, the term is sometimes used to describe the unexplained variability of glucose levels. In fact, with modern technology—in the form of glucose monitors and meters—it is much easier for a person with diabetes to control blood glucose levels. 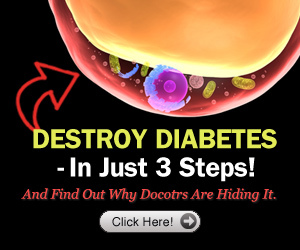 Thus, the number of people with so-called brittle diabetes has gone down significantly. According to some recent studies (in particular, those that included people with type 1 diabetes), life-interfering glucose fluctuations are rare, and some experts believe it is becoming even less common. The main reasons are the advancement of glucose metering and monitoring technology, better medications, and the advances in treating an individual diabetic—not only the physical but also the emotional conditions that can cause such extreme blood glucose levels.